The easiest way to create a defined sense of space in an open floor plan is to use your furniture to mimic the function of a wall. Have seating areas with chairs and couches that face inwards to a central coffee table to instill a cozy feeling. This works best when you have a large sofa that faces away from the nearest ‘room’ in the space. Place tall chairs or bar stools around your outermost kitchen counter to give you a casual dining space. Use matching area rugs to create a visual separation between ‘rooms’ and give you a visual pathway between spaces. You can still enjoy bright living areas and a comfortable home when you decorate an open floorplan properly. 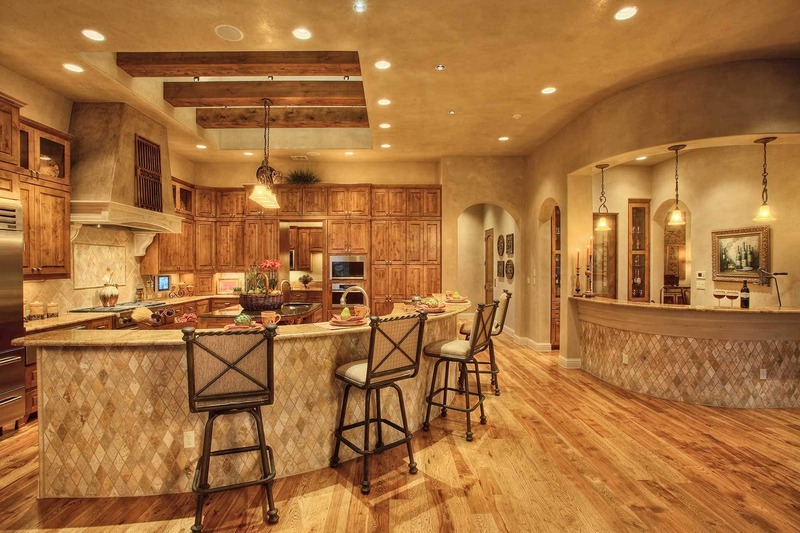 Sterling Custom Homes has been building the highest quality Austin luxury homes since 1989. We are a full-service custom home builder eager to assist you with your lot analysis, home design and construction. For more information about our unique process, please contact Gary Grambley at gary@sterlinghome.com or call 512-263-2214.